Opening reception Friday, November 4th in conjunction with Lowertown First Fridays. 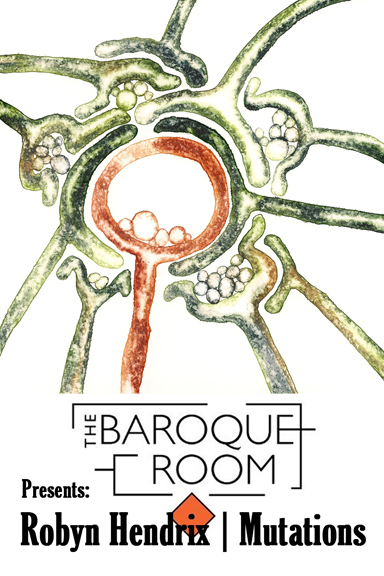 Local artist Robyn Hendrix brings her playful, quirky painting style to the walls of the Baroque Room, a new music performance space in Lowertown St. Paul designed to provide an affordable venue for chamber musicians, and to create a diverse and stable early music scene in the Twin Cities. Opening Reception November 4th 6-9pm, in conjunction with Lowertown First Fridays. Free and open to the public. This exhibit will be on display through January 29th and can be viewed during Baroque Room performance events or by appointment in addition to the opening reception.